Rummerz’ NFL Week 15 Moneyball Money-blitz! Plenty of action this week with two games on Sunday! So something to watch while you set your Monday morning lineups with help from Rummerz. I’ve broken this column down into three categories; Studs, Value and Match ups. The studs are the backbone of your team, these are the guys that will score you the most points (hopefully!) Value plays are players that are cheap for the amount of points they are capable of putting up for the game. They allow you to fit more studs into your team. Match ups are players that might be playing a team that’s weak in a specific position. They might be a mixture of studs, mid-priced and value. If you’re tossing up between two players, it generally helps to go the one with the better match up. Balancing out these three categories will give you the best chance of scoring well. There’s also a range of H2H, Double-Ups and Leagues available to enter. In his last four games, Brown’s worst score has been 20.1 points and his best was 37.4 points. He shouldn’t have any dramas this week traversing between those two points as he meets the Patriots who are third in points to WRs. Shady was able to log a full practice on Thursday after a tough slog in the snow the week before, where he put up a stat line of 32-156-1. Faces Miami who allow over 100 yards per game on the ground. With Kamara due back as a passing option, Brees should be able to roll over a Jets defence ranking fourth-most in fantasy points to QB. Thomas lit up the Falcons last week, with 117 yards and a TD, from 10 receptions on 14 targets. He shouldn’t have much resistance from the Jets defence ranking sixth-most points to WRs this season. A nice stack with Brees. We’re counting on Ertz to be feeling 100% after a week off in the concussion protocol, returning to a mouth-watering match up against a Giants outfit that allow the most fantasy points to opposing tight ends. Giddy up, Zach. If Foles can turn back the clock to a couple of year ago where he threw only two interceptions for the season, he may well be able to steer this ship into the big dance, considering the weapons at his disposal. The Giants allow the most points to opposing QBs. Davis put up reasonable numbers in tough match ups against Philly and Jacksonville, and now has a great chance to capitalise against a Rams run defence allowing the second-most points to opposing RBs. Westbrook saw more targets than compatriot, Marquise Lee last week and if that continues then another productive day is on the cards up against a Texans defence gifting the seventh-most points to WR. Williams has been a decent replacement for the injured Peterson (who may be gone for the season), his workload has increased these past two weeks and might be a nice play if the volume increases again this week against a run-of-the-mill Washington D.
Clay is a cheap option at TE in a home game with Tyrod back in the driver’s seat, and a soft match up, position-wise. If Green Bay (ninth-most passing yards, twelfth-most fantasy points) are able to capitalise on a returning Rodgers, then game script may go in the way of Newton having to pass a lot playing catch up. Bortles has outperformed his price point these past few games and has a chance to again, coming up against Houston who allow the second-most fantasy points to opposition quarterbacks. A Funchess/Newton stack could be the go here, with a meeting against the fourth-ranked Packers secondary for points to receivers. After taking sole ownership of the backfield after the injury to Williams, Drake has blossomed as a runner and put up over 20 points these past two weeks. He should score well again this week, meeting a Buffalo defence giving up the most points to RBs. Murray didn’t have much production last week against a stout Panthers defence, but meets the Bengals this week who allow the sixth-most fantasy points to opposition running backs. Rummerz’ NFL Week 17 Moneyball Money-blitz! 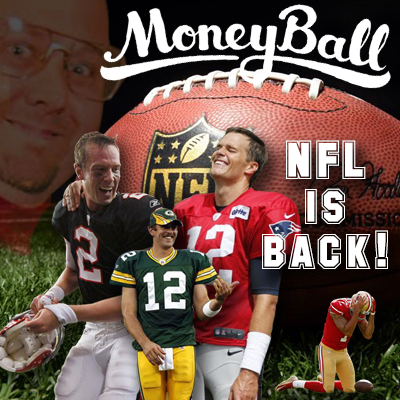 Rummerz’ NFL Week 16 Moneyball Money-blitz! Rummerz’ NFL Week 14 Moneyball Money-blitz! Rummerz’ NFL Week 13 Moneyball Money-blitz!